NYC is now officially the city that I've lived in the longest, and it's where I feel the most at home. Childhood in Maine was spread out over several different towns, settling in only one for a handful of years, and I left that town 15 years ago. Then 8 years ago I moved to New York, and after a brief reluctancy to embrace it (the rent! the crowded trains! ), I fell in love. This was my mid-20's, when my friends and I would talk (over bottomless mimosa brunch of course) about one day getting married and moving to Brooklyn, or "grown-up" New York, which was the furthest from my Upper East Side apartment I ever considered going. But then I did leave for 3 years, while my husband and I were in grad school at Northwestern and he was starting his career. We ended up in Dallas in a giant apartment with a huge amazing farm table and not enough of a friend base there to fill it for even one dinner party. 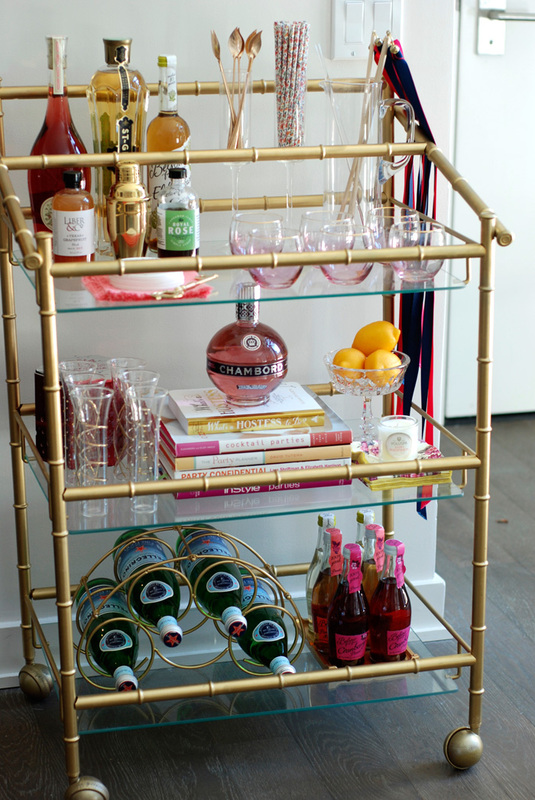 It was during that year that I started seeing bar carts all over Pinterest and decided I needed one for myself. But I held off on the purchase because the big empty dining table was depressing enough. Then also during that year, my husband's company offered to relocate him to their New York office. He came home from work one evening and asked me how I'd like to move to Brooklyn and have a bar cart. "Are you kidding?! That's the dream!!" And so here we are. I'm so happy to be here and even happier that you're here with me.